Very few architects are equally prolific in theory and design, and Hermann Czech is one of those few. Over the course of six decades, he has created a widely recognized body of built work while also developing a unique architectural theory based on his knowledge of philosophy and architectural history. 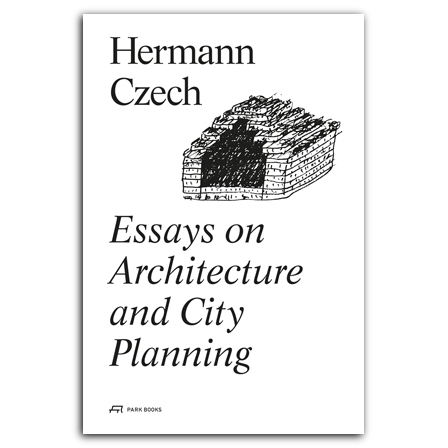 Essays on Architecture and City Planning finally makes his influential ideas available to an English-language audience. In these essays, collected from throughout Czech’s career, he analyzes mannerisms and calls attention to underestimated works of architecture. He also delves into his own ambivalent relationship to modernism. Of particular significance are the essays focused on Czech’s appeal to embrace reason over style. In addition, Czech reveals his engagement with the work of Hegel, Kant, Wittgenstein, and Adorno as applied to architectural topics. Throughout, Czech showcases his commitment to developing precise terminology to advance architectural dialogues while rooting these dialogues in the larger history of ideas.